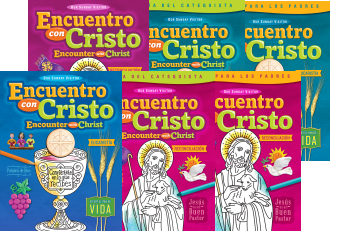 Our mission is to provide curriculum and services to catechists and educators so that Catholics of all ages better understand, grow in, and live their faith. At the core of everything we do are the values we hold dear; values founded on integrity and trust; being responsive, relational and collaborative; offering creative and innovative solutions; and above all, promoting a distinctly Catholic identity. 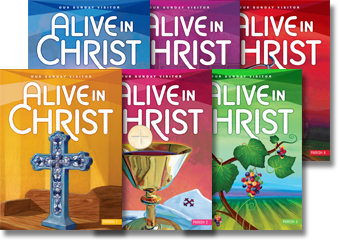 In response to the needs of catechetical leaders, catechists, pastors, and parents, Our Sunday Visitor is proud to announce Alive in Christ, a premier religion curriculum that engages today's children. A fully bilingual religion program. Un currículo de religión completamente bilingüe. A brand new Sacrament preparation program for Reconciliation and Eucharist. Preparación para los Sacramentos de la Reconciliación, la Eucaristía, y la Confirmación siguiendo el orden restaurado. Growing and celebrating with Jesus. Enriqueciendo la fe de todas las edades con las fundamentales de la fe. An engaging religion program for young adolescents. 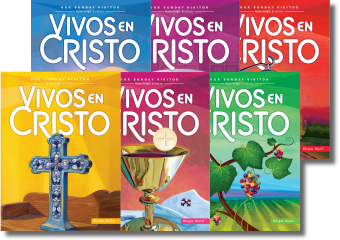 Catholic Vacation Bible School programs with original Catholic content. An innovative, comprehensive religion program for Grades K-8. 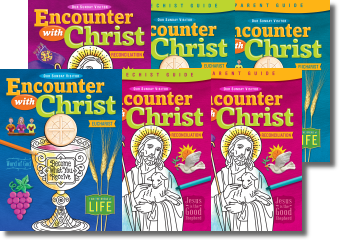 Curriculum products and more from the largest Catholic publisher in the United States. Sunday Readings and Backgrounds, Saints and Questions of the Week, Lectionary Correlations and more. Select your diocese then connect with your sales representative. Every week, we highlight a different person of faith.